Here’s a double that just may be a fantastic deal. 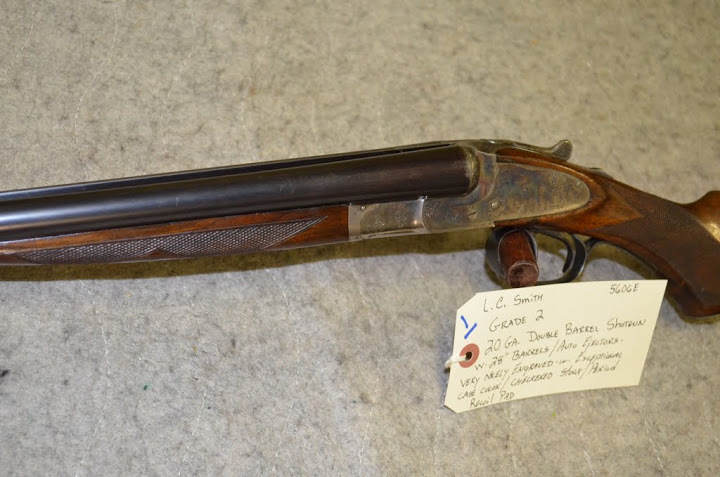 The Midland Gun Co. was one of the many gunmakers who thrived in the UK in the late 19th and early 20th century. They were known for making sound shotguns at affordable prices. And that is just what the one you see here looks like. From what I can tell from the lousy pics, it looks pretty original. The only thing that worries me is the mention of it being for “2 3/4″ shells only”. 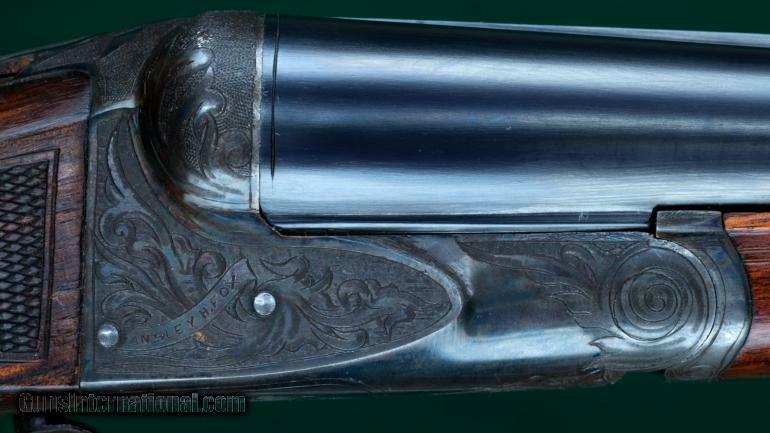 Judging by this gun’s weight, I would say it was nitro proofed for 2 1/2″ shells. So before you buy it, you should check that out. 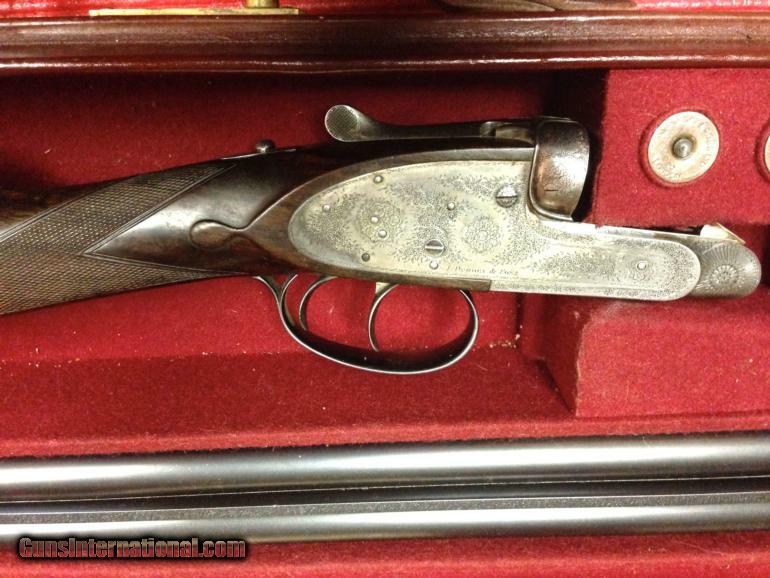 Also, be sure to get a 3-day inspection period on it and have a qualified gunsmith check it before closing the deal. 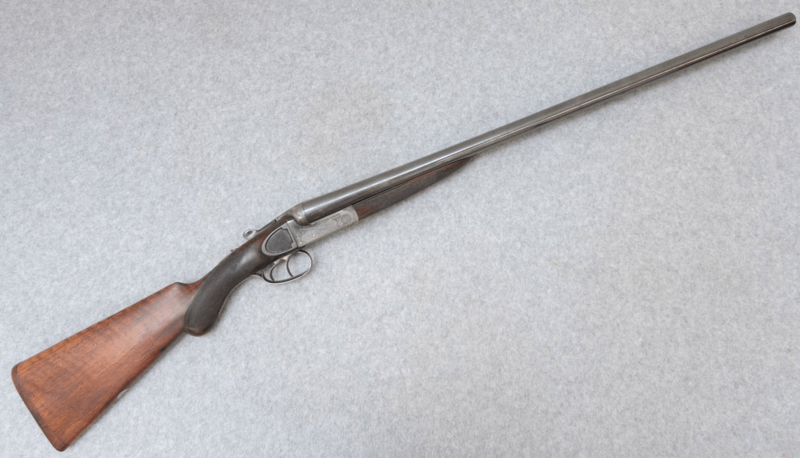 Holland & Holland Full Sidelock , Royal Ejector 20 Bore. Cast off at heel is 1/2 inch. 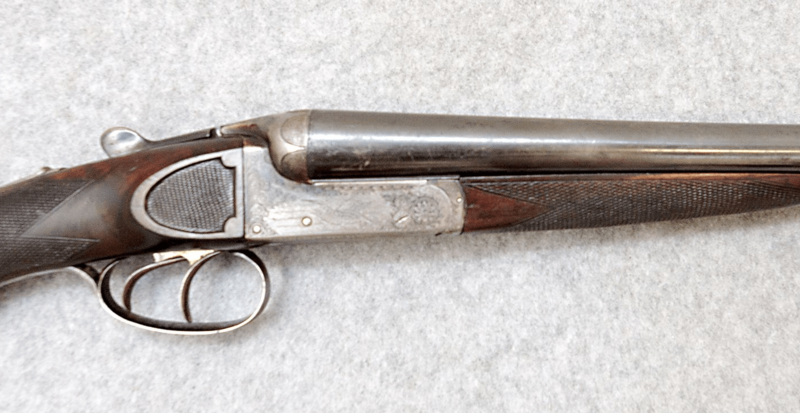 A H Fox, Philadelphia — AE Grade — 12 Gauge, 2 1/2″ Chambers: 28″ SxS barrels of Cromox fluid compressed steel, with concave matted rib, choked improved cylinder & modified. 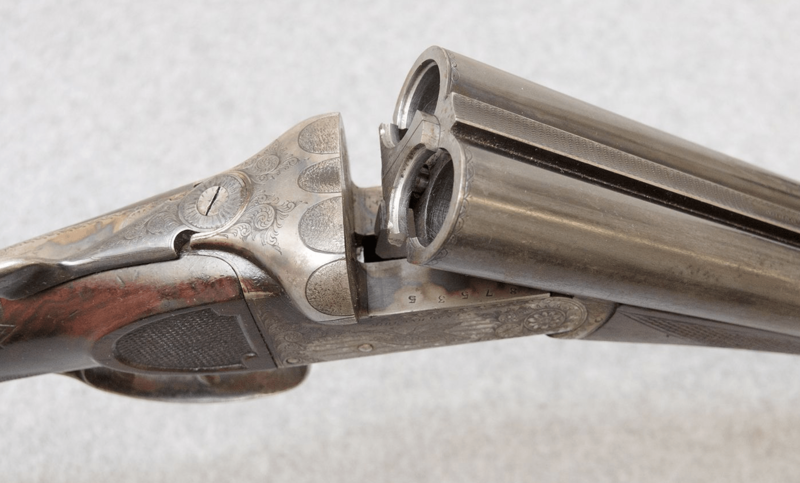 14 1/8″pull from front trigger to original buttplate. 1 5/8″ – 2 3/4″ drop. No cast. 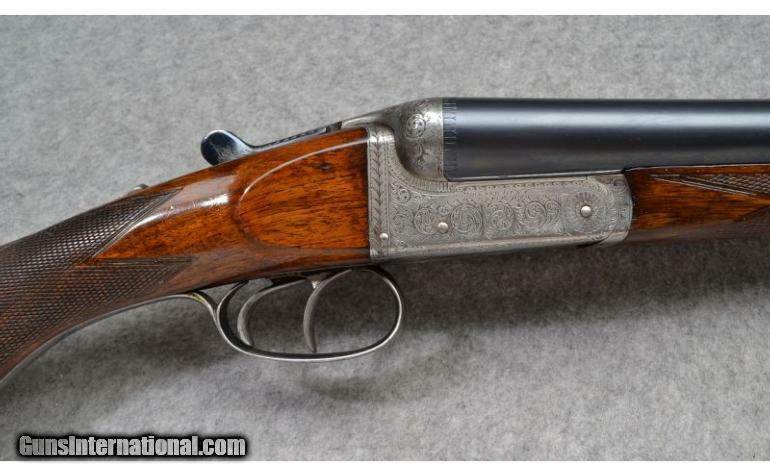 Lightly figured, oil finished stock with Deeley latched splinter forend, round knob half pistol grip, classic point-pattern checkering and with checkered sidepanels. Automatic ejectors and manual top tang safety. Weight: 7lbs, 5 1/2oz. Built 1920. 99%+ proper barrel reblue. 95% original triggerguard blue. 70% original casehardening colors. Tight, mechanically excellent, with sharp engraving and with mirror-bright bores. Price: $2995. 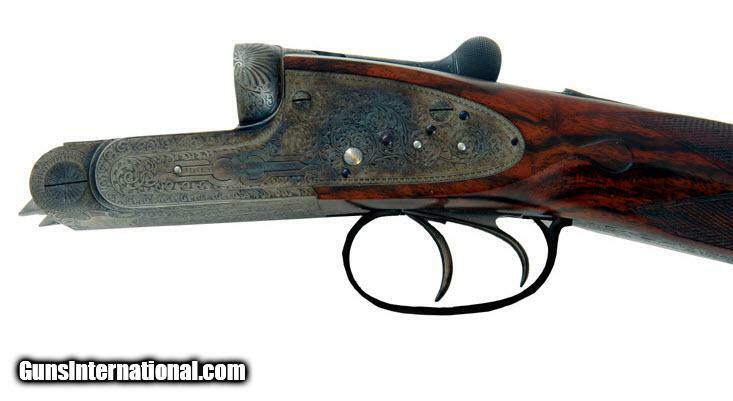 Midland Gun Co. SXS 12 Ga.